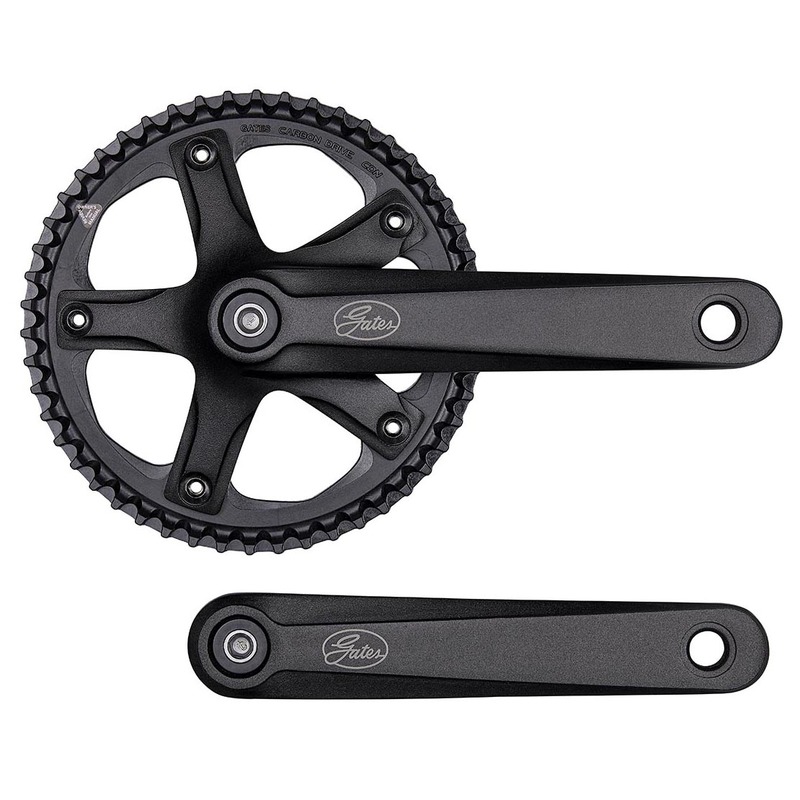 Our Gates Carbon Drive precision crankset assemblies offer a plug-in solution for bike manufacturers, saving time and money on the production line. 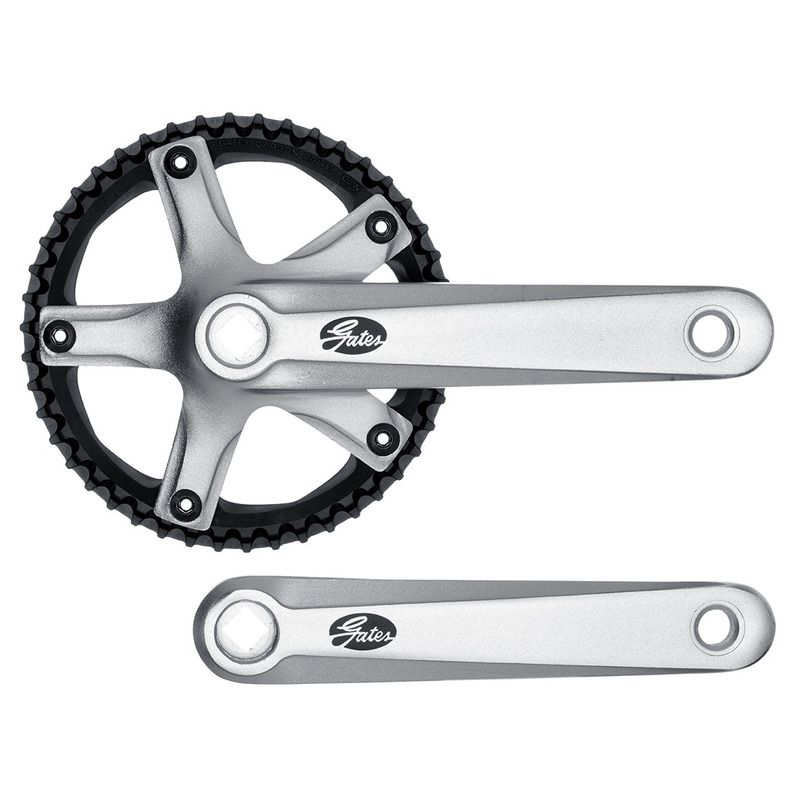 It's a complete system that simplifies drivetrain installation, guarantees high performance, and maximizes the efficiency of your factory workforce. 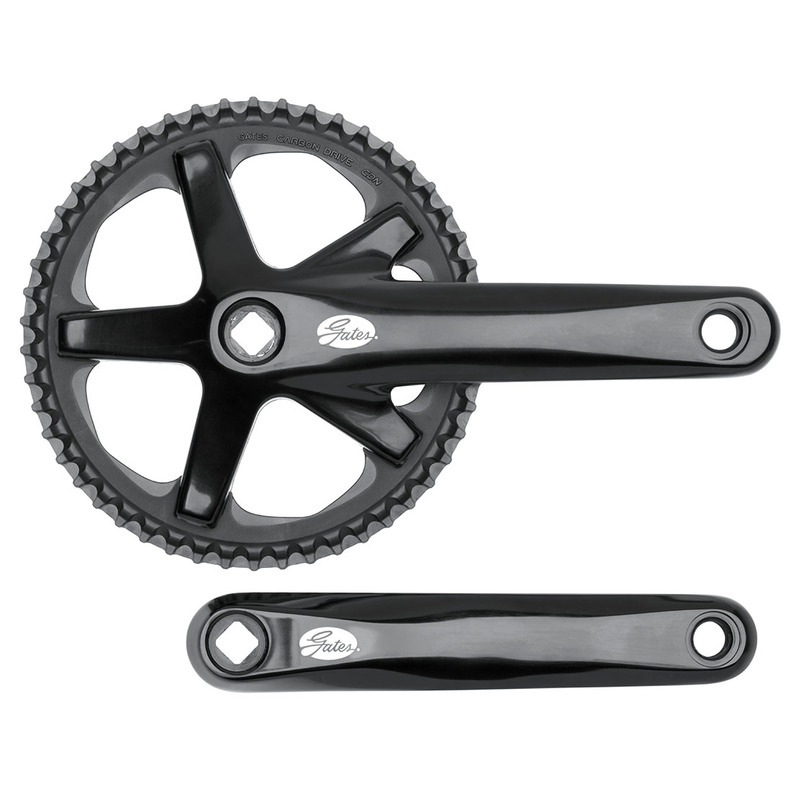 Gates cranksets feature forged alloy cranks mounted to our lightweight CDX aluminum or CDN reinforced composite sprockets.